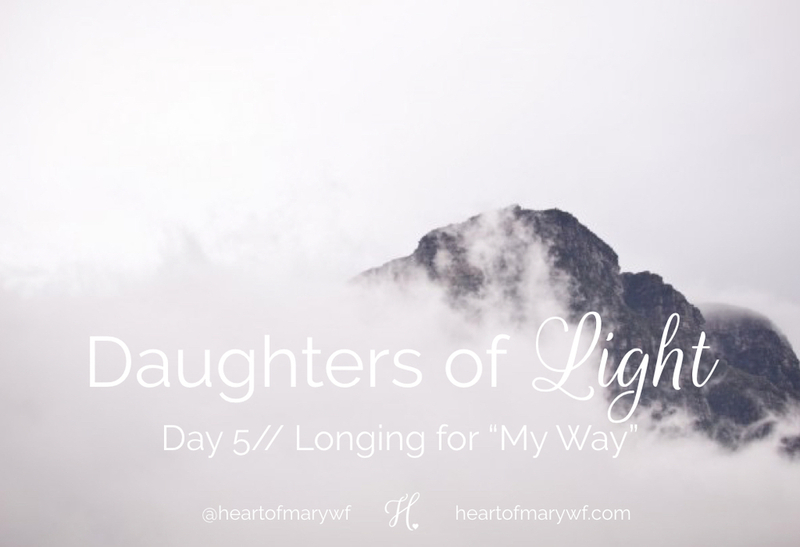 Advent 2015 // Longing for "My Way"
Approximately 2,000 years ago, a young woman named Mary was told that shewould birth and raise the son of God. I don’t know about you, but if I was Mary, I most likely would’ve screamed and run for the hills. Either that, or pee my pants. We so often take for granted the humanity of Mary, and the reality that she was just as human as you and I. Although sinless, she still encountered all the emotions and all of the temptations that we combat. Although sinless, she still had to make the choice to receive Jesus in her womb. I bet you that she had a whole plan laid out for her and Joseph’s life, and an unplanned (albeit miraculous) pregnancy was not a part of it. Yet, she didn’t run for the hills, she accepted God’s plan quietly and with great faith and courage. So often, I long for my own way. I long for my plans because I think (quite absurdly) that they are better than God’s. Yet, what does this season teach us about our own plans? They pale in comparison to what God has in store for us. What do you think Mary’s life would’ve looked like if she said, “No thank you Angel Gabriel. Tell God He can pick someone else”? Sometimes, this thought terrifies me. Not because I don’t want to do the will of the Father, but because I wonder how many times I’ve said, “no” to God and shut the door to His amazing plans for me. The beauty of understanding God’s plan though, is it isn’t a crazy long equation with only one answer, or a really crazy maze with only one route. But, rather, it is a journey with Him. Sometimes we don’t answer His call, but He is always ready to answer. He is always ready to take us on a wonderful journey and sweep us off our feet. It is not over my dear sisters. turn out? Would you say, “yes” all over again? Why? someone to pray for you specifically this week.